Sony SRS-X3 review | What Hi-Fi? If you’re an audio purist, you might want to look away now. 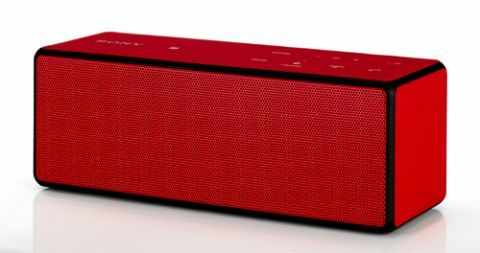 If you like your music big and bassy, the Sony SRS-X3 could be the portable speaker for you. Sony’s SRS-X3 flaunts more bassy punch than most speakers of its size should be allowed to, but the difference is that it does so with aplomb. The SRS-X3 handles even the deepest basslines well. Connectivity is via the slightly outdated Bluetooth 2.1, but there is near-field communication (NFC) on board for quicker, easier pairing with compatible devices. Play Drake’s Worst Behaviour and the weighty low-end cuts through the mix with satisfying impact, sounding warm and controlled. It’s impressive, if not sonically pure. Switch to something heavier, and the brooding bass guitar in Staind’s Fade is delivered with depth and confidence. There’s real scale to the presentation too. This is partly due to the two passive radiators inside the SRS-X3; one at the front and one at the back – most competitors have only one – which support two full-range drivers, driven by a 10W amplifier. Sony’s ‘Sound Mode’ also bucks the trend by offering EQ settings and does a good job at widening the soundstage further still, introducing some space to the presentation. The SRS-X3’s bassy punch does come with flaws: the weight of the low end means the midrange takes a back seat, and vocals feel lost during bassy sections, causing a slight lack of clarity. Many of the SRS-X3’s weaknesses are balanced out when outdoors. The weight in the bass gives it power and punch without overpowering the rest of the frequency range. It sounds very impressive, dealing with acoustic music as well as synth-heavy dance tracks, and creating a smooth, well-rounded presentation. You could listen for hours on end. It goes loud too, and does a reasonable job at keeping things in control. We would recommend not maxing out the volume if you want your music to stay distortion-free, however. Its seven-hour quoted battery life is about average for these speakers, particularly with its power. In terms of portability, you will be able to carry it around, and it’s well made to boot. What you sacrifice in bag real estate you will certainly earn back in performance. The Sony SRS-X3 is a hugely confident performer that certainly deserves consideration when buying any product of this type.